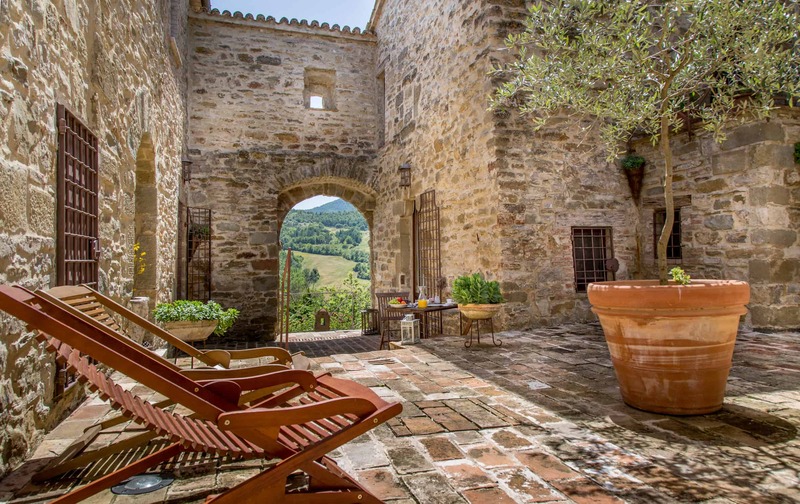 If your bucket list includes visiting Umbria and Tuscany with a home away from home – R elais l’Antico Convento (This Old Convent) is here to serve you. Relais l’Antico Convento dates back to the 12th century and is idyllically set amid sunflower fields and wooded hills on the border between Umbria and Tuscany. 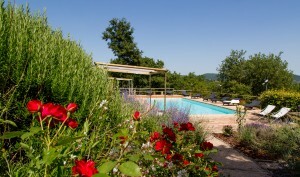 The Relais is a country hotel, away from residential areas, surrounded by nature. It is a charming residence, protected by Monte Acuto (“The Mountain of the Gods”). The apartments are characterized by ceilings with wooden beams, stone walls, and antique brick floors. The garden is a harmonious element with flower-filled lawns and bushes of lavender and rosemary mingling with antique climbing roses to create an explosion of scents and colors. Situated on a promontory overlooking the Val Racchiusole of Umbertide, the crystal clear swimming pool and California Hot Tub complete the panorama. It is an unique place for an independent family or couple’s holiday. It is also ideal for special events such as weddings, family reunions, birthday parties, hen dos, stag parties. The Relais is best accessed through the Perugia International Airport, 30 kms away, with direct flights to many European destinations. Alternatively, the airports of Rome, Florence and Pisa are only a couple of hours drive away. 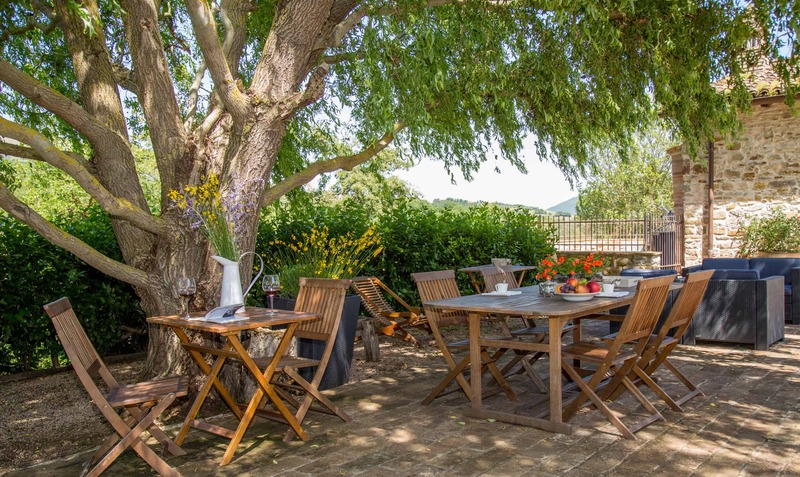 The Relais has a sober dignity and a minimalist style (the apartments do not feature television sets, as a deliberate choice) but is at the same time carefully maintained and extremely welcoming. It can accommodate all kinds of diverse requirements. 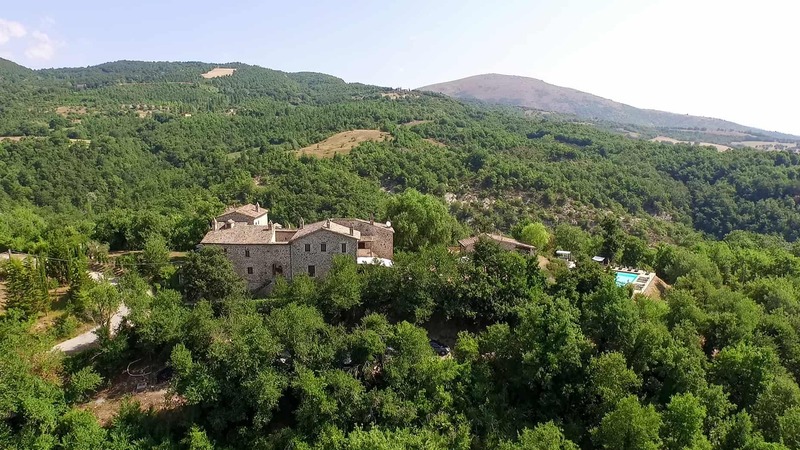 It is a magical refuge overlooking the valley, a perfect balance between rusticity and elegance, a place to discover (or re-discover) the luxury of simplicity.